A homemade bomb blew up at a FedEx Corp distribution center early on Tuesday injuring one person, officials said, the fifth explosion in the state this month. It was bound for Austin, the site of four other bombings. Officials did not say if they believed the device, which exploded at the FedEx facility near San Antonio, was the work of a “serial bomber” who police feared may be responsible for the four earlier devices, which killed two people and injured six others. The first three were parcel bombs left on residential doorsteps, while the fourth on Sunday was apparently set off by a trip wire. Police warned that the latest bomb had a more sophisticated design than the others. The package exploded shortly after midnight local time (0500 GMT) at a distribution facility in Schertz, Texas, outside San Antonio, about 65 miles (105 km) south of Austin, the San Antonio Fire Department said on Twitter. Agents from the Federal Bureau of Investigation and the Bureau of Alcohol, Tobacco, Firearms and Explosives were on the scene and investigating, fire officials said. They did not give the address for the package. The wounded employee, who was not identified, was taken to a hospital with injuries that officials described as non life-threatening. About 75 people were working at the facility at the time, fire officials said. Police did not immediately say if the explosion appeared to be linked to the four others. 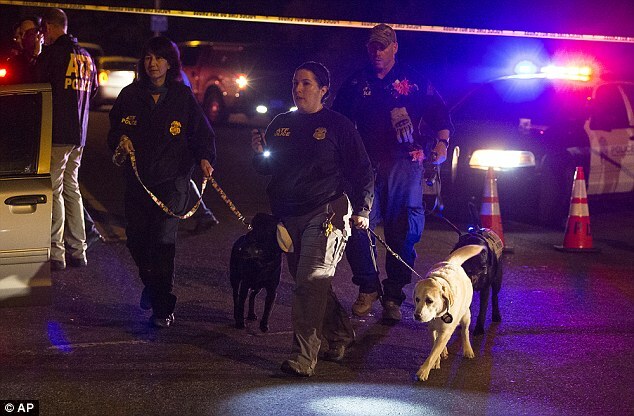 The first three were parcel bombs dropped off in front of homes on Austin’s east side, with the fourth an apparent trip wire device that went off on the city’s west side on Sunday. The four devices were similar in construction, suggesting they were the work of the same bomb maker, officials said. FedEx officials could not be reached immediately comment. The first two bombs killed black men and investigators believed that the third, which injured a Latina woman, may have been intended for a black family’s home, police said, raising the possibility they were a hate crime. Sunday’s trip wire bomb, which injured two white men, went off shortly after police made a rare public call to the suspect to explain his motives.